While at Wondercon, I stumbled upon artist Katie Cook's booth. Cheese! Katie smiles for the camera. 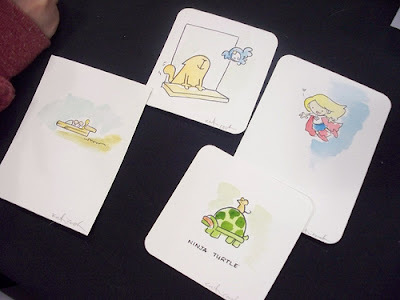 She had some super cute art (seriously, I don't know how else to describe it) and was selling these little water color paintings for $5 -- kitties, a Ninja Turtle, Star Wars stuff, Harry Potter, Tim Gunn (from Project Runway). My friend ended up taking Tim Gunn home. Random little water color doodles. 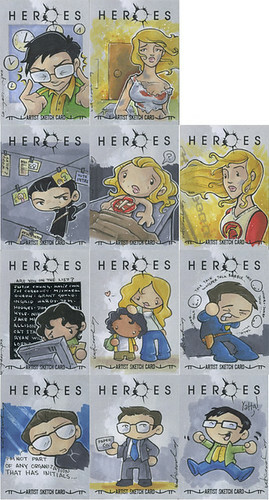 Sooo cuuttee! We chatted with her for a bit and I ended up having her do a little deer for me. 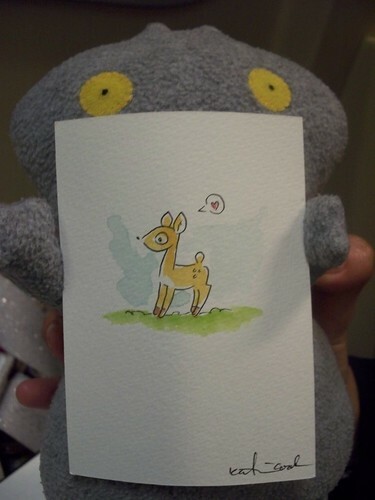 Babo proudly displays Katie's water color doodle. While talking to her, she said that she also designs stationary/scrapbook stuff for Target and will have some things at Michaels as well. She's also been licensed by Heroes, Indiana Jones and Lord of the Rings. 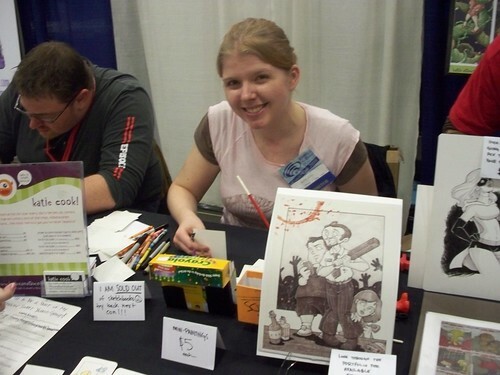 For more on Katie, be sure to check out her website and Deviant Art gallery. 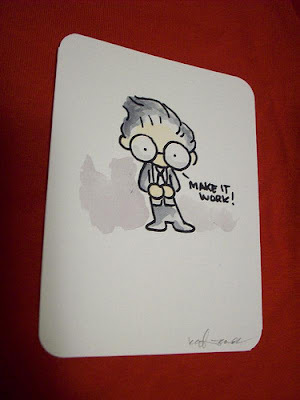 Also, she'll be sittin' pretty somewhere in the Artists Alley at this year's Comic Con. 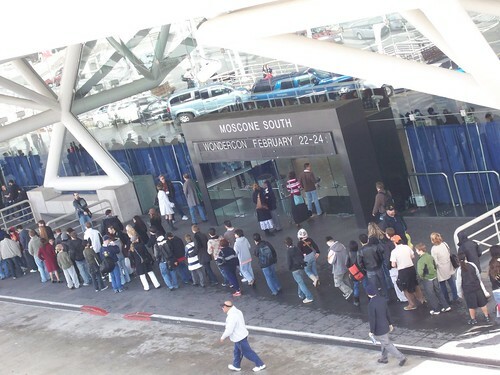 Wondercon kicked off the start of comic book conventions from Feb. 22-24 at San Francisco's Moscone South Center. I was able to head down there on the very last day and man [women, children, dorks, nerds, etc. ], I've got news to share! I'm gathering up as much info. as I can, so y'all are just gonna have to stay tuned. Booo . . . I know. Sorry! Forty winks with Warm Whiskers! From Dream Essentials come Warm Whiskers Eye Pillows, freezable/heatable eye pillows that look like sleeping animals and smell like, chamomile. The "Comforting friends with a calming scent" are must haves for anybody and everybody who likes sleep AND animals (and plain silliness)! What better way to enter dreamland than with an animal curled up over your eyes?! The Warm Whiskers Herbal Neck Wraps aren't too shabby in the strange but awesome department either. Warm 'em up and they'll give off the soothing scents of buckwheat and lavender (almost like the real things?). They're freezable and microwavable (not advisable for the real things). Excuse me as I write an apology e-mail to the ASPCA. Bubi Au Yeung's white blobby/spikey creation Treeson has just come out with a new line of Baby Treesons ("3) -- all in different colorways and each one limited in quantities. They can be purchased at the Crazy Label webstore. 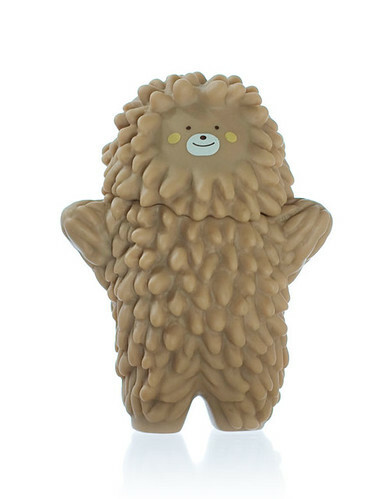 In other Treeson news, a storybook featuring Treeson will be coming out later this year. If you've snapped any pictures of your own, join the Treeson Flickr group (or join Flickr if you haven't already -- it's the bestest!). we have some blogs lined up for your reading pleasure, so stay tuned . . .
Have a GUTSY Singles Awareness Day! While the coupled lovers will be peddling chocolates and roses on V-day, that doesn't mean the single ones can't get GUTSY and try their HEART-EST (turbopuns!) to join in the love! Heres a few awesome heartsy stuff of that both camps could appreciate today! 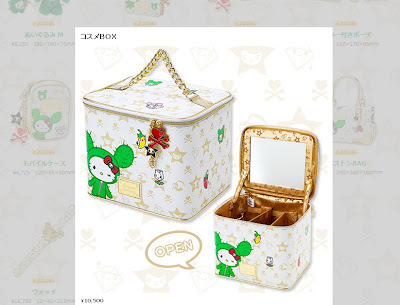 Drop the heart-shaped boxes and literally give your valentine your heart! I HEART GUTS features plush versions of different organs, but you can't go wrong with an anatomically correct heart! These beaty bad boys are also available through our buddies at Munky King. For those with a little more heart, I HEART GUTS also features some heart art. Check these hand made embroidered hearts, including a heart of gold for the kindhearted ones or the black heart for the jaded! For those who like to sport their hearts on their sleeve, theres many different styles of shirts available, including the embroidered heart polo, currently on clearance! As for myself, I'll be sporting my Bleeding Heart black tee by Craig Brickles, still available at threadless.com. Happy St. Valentines Day lovers and fighters! 2008 is going to be quite an ugly year . . . I mean that in a good and very strangely cute way though. 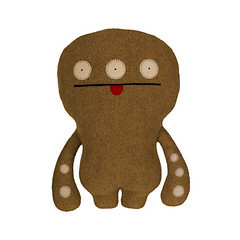 Uglydolls just launched their brand spankin' new site! Go around Uglytown with Babo and shop, read the blog, participate on the forum, download wallpapers and icons, and [coming soon] play games. Also out right now are Cinko (who got a bit of a makeover) and Sun-Tan Target. 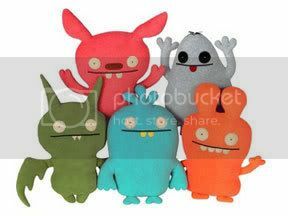 Later on in the year, five new Uglydolls will be added to the family including Puglee, Ugly Ghost, Poe, Babo's Bird, and Plunko. All of these guys come straight from the pages of the Ugly Guides. 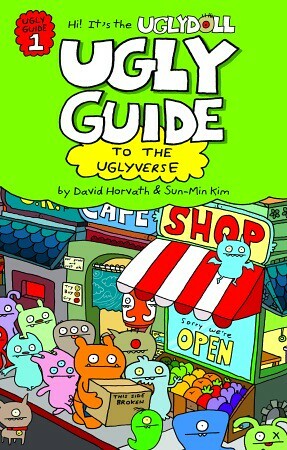 The Ugly Guides are a set of books (The Ugly Guide to the Uglyverse, Ugly Guide to Thing That Should Go and Things That Should Go But Don't) that'll show you the world of Uglydolls -- where they eat, what hospital they go to when they get boo-boos, where they go to get some R&R, and what each Ugly is all about. Those books will be released on April 22. 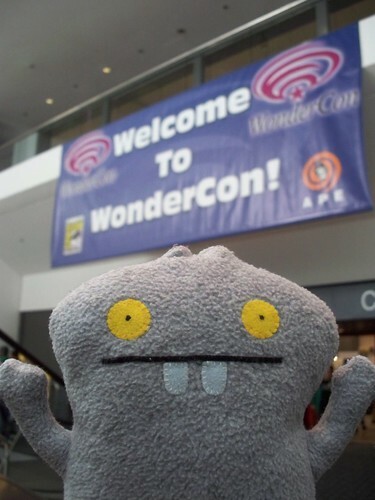 For more news on Uglydolls, be sure to check out their newly vamped site and co-creator David Horvath's blog. Back L-R: Puglee, Ugly Ghost, Poe, Babo's Bird, and Plunko. Who doesn't love handmade presents? Score big and turn on (silly pun intended) the romance with a cool DIY project brought to you by those cool peeps at FredFlare. 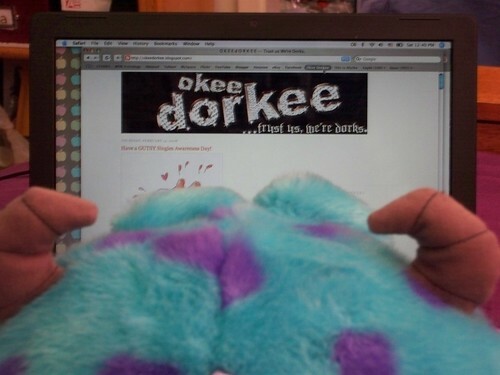 Check out their podcast and learn how to make Chris' self-proclaimed "World Famous Heart Shape Lampshade!" *a mushy card with cheesy light puns! For those that aren't in the know, (hey, that's what we're here for! ), the 60s cult classic Japanese cartoon Speed Racer has been adapted to a live action flick starring Emile Hirsch, Matthew Fox, Christina Ricci, John Goodman, and Susan Sarandon. Watch for it to hit the big screen on May 9. With an expected blockbuster, you can certainly bet that there will be toys to go along with it! 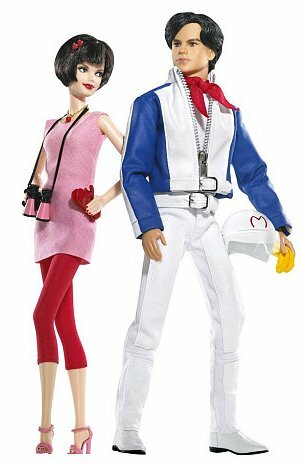 Mattel has given Barbie and Ken a Trixie and Speed make-over. These guys will be up for grabs sometime in March, but are available for pre-order on Barbie's website and Toys R Us. Check out the movie's official site to see trailers, videos of press junkets, photos, catch up on any news, download a podcast, and see who else is involved in bringing the world of Speed to life. 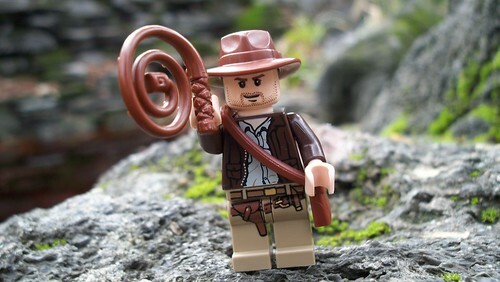 The colorful plastic world of Lego have released a line inspired by the classic Indiana Jones films. 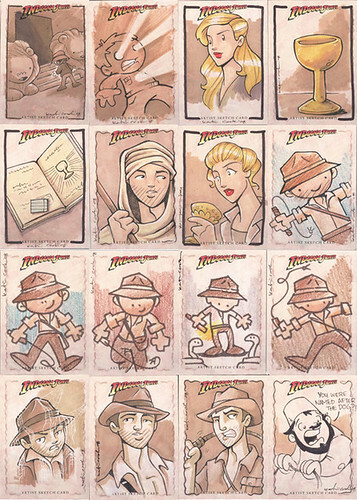 Now you can make your own adventures with Indy in four different sets (ranging in prices from $9.99-$59.99 -- or $114.99 for everything). 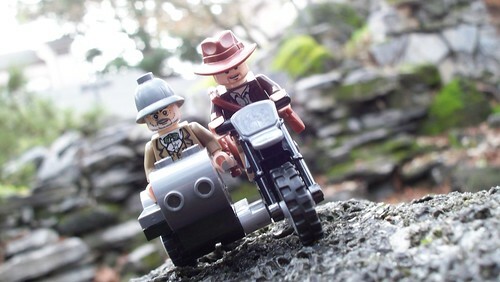 I purchased the Motorcycle Chase set because it was in my price range and it comes with not just Indiana Jones and some random German(?) dude, but a tiny Sean Connery as well (ok, Indy's dad, Pro. Henry Jones. Whatever)! For those who can't wait for the much anticipated flick Indiana Jones and the Kingdom of the Crystal Skull, these little guys should hold you over until May 22. But remember: Indy hates snakes, Jacque. He hates 'em. Without each other, they'd all be lost. so all in all, they're all essential. "Done what?" you might be asking. 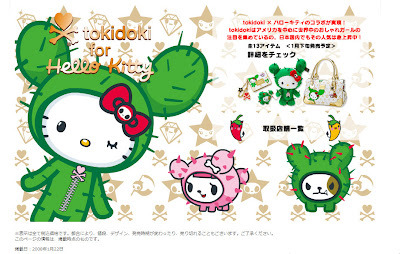 They've teamed up with a super awesome designer and are releasing a fantastically fabulous line of bags and accessories! This time around, Stella McCartney was behind the drawing board. An array of flowers and stars adorn her pastel colored bags as well as solid greys. Her spring/summer collection will be released soon. Can't wait for it to hit your local department store and boutiques? No problem! The whole line can be viewed on the LeSportsac website and is available for pre-orders. 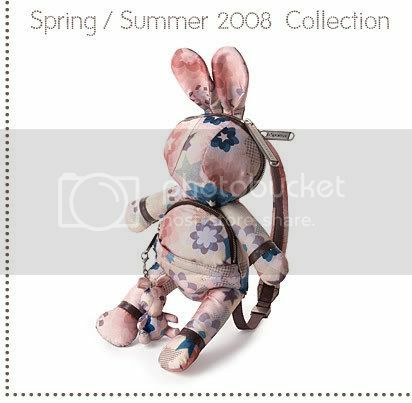 I'm absolutely loving the little bunny keychains that go with the bags and there's even a bunny shaped backpack (shown above, $120). 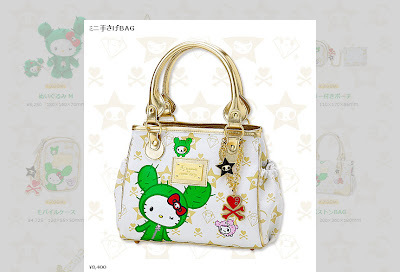 Of course the tote I want is $325 . . . 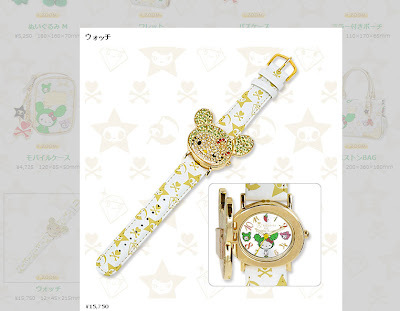 I shall be left drooling.